As the World’s population and the local population density increase, resources for food and water, energy, space and resources to build shelter become more and more limited. Geospatial technology shows us where resources are available and where they are needed. Being EarthSightful is an attitude and mind-set to help consider interactions between humanity and the Earth. As the world’s population grows, the climate changes, and unequally distributed resources become ever more limited, the status quo is not likely to be successful. Much conflict is driven by lack of resources such as food, water, shelter and potential to live in peace. When people lose hope and basic necessities, desperation sets in. Much of the conflicts around the world are leveraging people whose level of desperation is extreme. Geospatial science and technology represent powerful tools to help link humanity’s needs with what the Earth can provide when decisions are made with accurate, timely and complete information. As the world’s population increases and the climate changes, resources become more limited and access changes. Geospatial technology can show where resources are abundant and where they are needed. Geospatial analytics help determine what and where changes have occurred and predict what and where changes may occur in the future. ‘Be EarthSightful (R)’ … we can no longer think about ourselves without considering the overall impacts of lack of resources due to conflict, global climate change, or miss-management. Environmental Security is becoming a bigger and bigger topic – but it needs to get out of the think tanks, and integrated into mainstream policy making. Being EarthSightful brings all parties together to be better custodians of the Earth and humanity. How can we reduce the levels of desperation, hunger, thirst, disease and poverty in much of the world? We offer a range of Remote Sensing and Geospatial services, all designed to help your company reach its potential, and minimize costs and risks. Whether you’re looking for a small or large project, we have you covered. Our services are available a la carte so you can get precisely what you need. Each company or agency is unique. One-size-fits-all approaches will never help your business reach its full potential. We deliver custom solutions, tailored to you – your industry, your culture, your one-of-a-kind challenges. 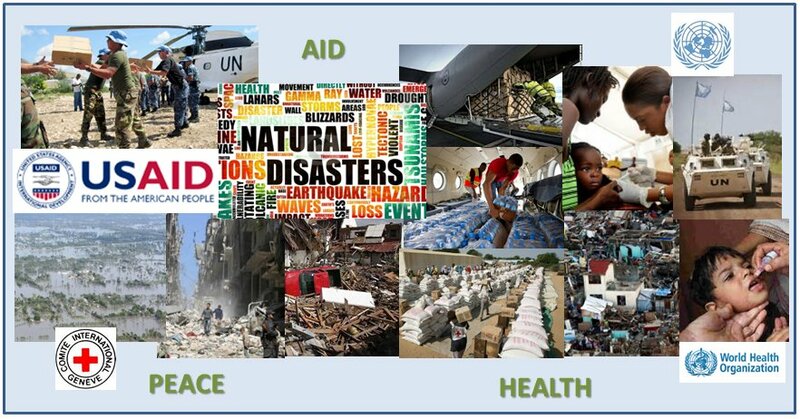 Geospatial technology is critical to deliver aid to the needed, respond to disasters, and battle global health issues.